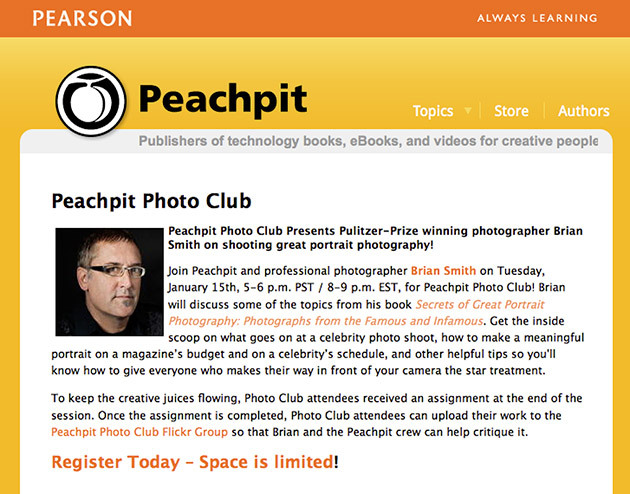 Peachpit Photo Club Presents Pulitzer Prize-winning photographer Brian Smith on Shooting Great Portrait Photography! 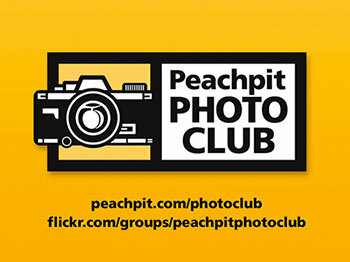 Join Peachpit and professional photographer Brian Smith for Peachpit Photo Club webinar on Tuesday, January 15th, 8-9 p.m. EST / 5-6 p.m. PST. Brian will share some of the top portrait photography tips from his book Secrets of Great Portrait Photography: Photographs from the Famous and Infamous. Get the inside scoop on what goes on at a celebrity photo shoot, how to make a meaningful portrait on a magazine’s budget and on a celebrity’s schedule, and other helpful tips so you’ll know how to give everyone who makes their way in front of your camera the star treatment. Smith will reveal his portrait photography tips on connecting with people, finding the perfect location, telling a great story through portraiture, getting the ideal pose, capturing emotion and gestures, arranging unique group shots, and lighting the scene to achieve the mood and feel you want. To keep the creative juices flowing, Photo Club attendees received an assignment at the end of the session. Once the assignment is completed, Photo Club attendees can upload their work to the Peachpit Photo Club Flickr Group so that Brian and the Peachpit crew can help critique it. UPDATE: Click Here to Replay This Presentation. Can wait to see it!!!! Congratulation ! Thanks Armando! Please listen in and let me know if you have any questions.